Registered Representative. Bachelor of Science, San Diego State University. Greg joined KS Financial Advisors in February 2002. As Director of Advisory Services, Greg’s primary role is oversight of financial planning activities, investment research, and new product due diligence. Greg is a Investment Advisor Representative (FINRA Series 7 and 66) and State of California Insurance Agent (License #0C22488). After a number of years as a staff auditor with Union Bank, Greg joined the Office of Thrift Supervision (OTS), the primary regulatory agency for the Savings and Loan industry. In 1991, Greg left the OTS to assist with the start-up of a mortgage banking institution. 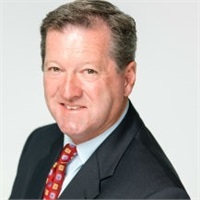 Greg began his focus on personal financial planning and investment management at the end of 1996 and received his CERTIFIED FINANCIAL PLANNERTM certification in April 2000.